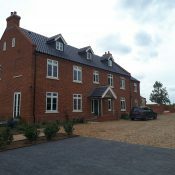 Mr & Mrs D live in a 2 bedroom converted stable block in a rural area of Norfolk with no gas supply. 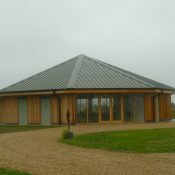 Their barn conversion was part of a complex of 6 barns which had been converted by a property developer. 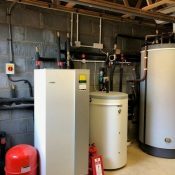 The developer installed a water source ground source heat pump from a large pond with 2 bore holes to provide the energy for four of the six barns. Mr & Mrs D had found that their GSHP compressor failed after 7 years as the compressor had seized. R A Brown advised that after calculating the heat required to heat the property and the available energy from the source, it was insufficient to heat the home. 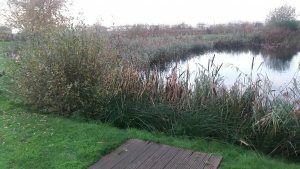 It was established that the water source was not able to produce enough energy to heat one barn and unfortunately this pond was trying to heat four homes. Therefore the system had failed due to being designed incorrectly. The compressor was overworked because it was starting and stopping numerous times per hour to overcompensate to try and keep the system running. Mr D said “we contacted the original installer and attempts had been made to rectify the problem with no success. They suggested a replacement compressor and subsequently we looked online for other geothermal energy companies to get a comparison quote” The original installer had visited 14 times to try and rectify the problems. The property had insufficient land for ground collector to be laid and due to the fact the property had a shared drive, the drive was not suitable to consider boreholes. 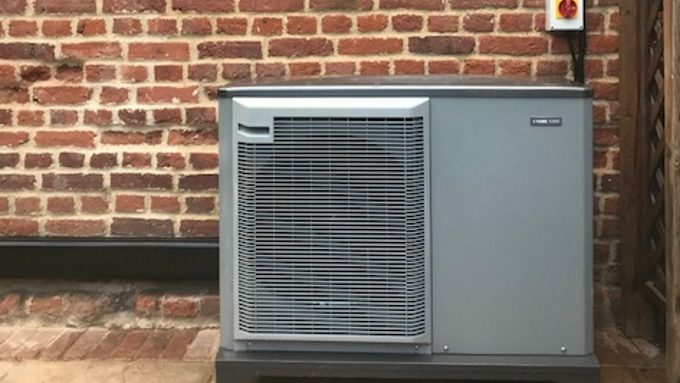 Therefore an air source heat pump was the most suitable solution. 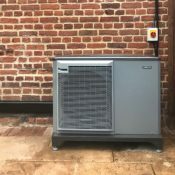 R A Brown fitted an ASHP 8kW NIBE with a VVM 320, the existing property pipework did not meet current building regulations and therefore R A Brown replaced this and then were able to connect to the properties existing underfloor heating which was already laid throughout the property. Due to the new system being installed by the home owner, Mr D is now also eligible to claim the Renewable Heat Incentive which he was previously ineligible for.